As you know sometimes we need to cut some part from a movie or other video. So for this porpose we use different types of video cutters, or some other tools which may need to pay price or may be the free tool to use but it will take space on your pc because you have to install it. 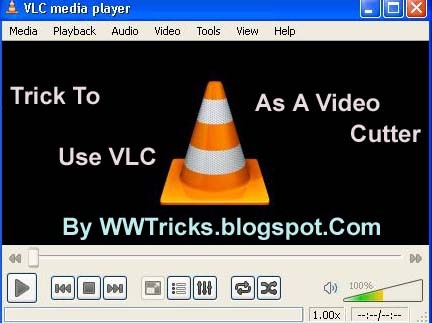 But today i am telling you that you can perform this using vlc player very easily.Yes you can easily cut your favourite song from a movie just using vlc player. 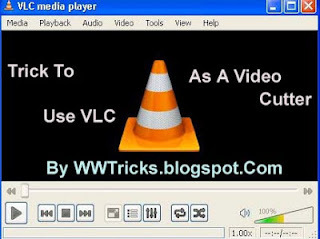 How to cut a song from a full movie using vlc player? Step-1: First of all launch vlc player. drag and drop a movie to this. Step-2: Now click on "view" and then click on "advanced controls". Step-3: Now you will see the new buttons above the normal play/pause buttons.The first button to the left named "record" (because it is in fact you will go to record the particular video) you will use to cut the video. Step-4: So start your desire video that you want to record/cut a part from it. And from where you want to record click on Record button. your recording/cutting will start. When you want to stop cutting then again click on record button. Your video will be in "my ducoments->My videos" if you are Win xp user. and will be in Libraries->Videos folder in Windows 7. Hello. It works very fine man! As I used it many times.